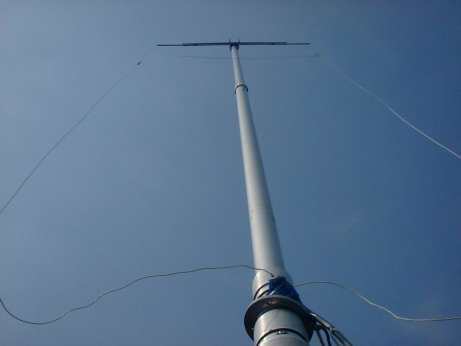 The SKYDOOR is 6m band antenna. It is 1 loop simple Antenna. This site is mainly in Japanese language, but the pictures speak for themselves. The 6 Meter Band may be dead at times, but help bring it to life with Larry's rotatable loop project. Simple, easy to build and won't break the bank. The 6 meters loop is made with a section of 1 meter 70 centimeters, 9 mms. soft copper tube closed by a 10 Pico farads mini butterfly capacitor. This loop was designed to be used with a QRP transceiver like the Yaesu FT 817 or the Icom IC 703. This site is in Japenese language, but the pictures and the drawing speak for themselves. The antenna has good performance and many advantages and it has become very popular in Japan. Many JA stations make it and enjoy it at home or in the field.